Dr. (Ms) Tarita Shankar holds a Degree in Arts (Gold Medalist), and Law. She has been an evangelist for social good all through her illustrious career spanning the world of community welfare, infrastructure and now, education. Her tremendous talents in community networking brought her laurels in the form of career updates and opportunities for society welfare deeds which made her decide to take up education as a vocation for the greater common good of the society she lives in.. In this venture, she brought to bear her organizational and leadership skills which had already brought her to the limelight in her assignments, including in Bangkok and Dubai. Her concern for equity and fairness and in ensuring that the same is available to all citizens was evident when she has attended an international workshop on Fundamental Rights, at the University of Rome, held by United Nations Interregional Crime & Justice Research Institute (UNICRI) in June 2009. She was also invited at the 4th World Women University President Forum for a keynote presentation on the topic 'Style of Women's Leadership'. This forum was organized by Communication University of China, at Nanjing, China. IN EDUCATION - FOR THE LOVE OF IT ! By 1994 Ms Tarita Shankar had realized that the core of India's development issue lay in providing much needed education to its youth - be it the pre-school, primary, secondary or higher education. Therefore, with single minded determination she set about starting an educational institution - the Shree Chanakya Education Society that was to create a presence that helped change the education scenario, initially in Pune and now in the rest of India. Her unadulterated zeal has been manifest in the fact that the Indira Group of Institutes, which she heads today encompasses levels of study as varied as a nursery school, to a full fledged school to colleges dispensing learning in commerce, science, engineering and pharmacy; and Management Institutes that offer guidance for Doctoral Research in India along with MBA and related degrees/diplomas. With 13 Institutions delivering cutting edge learning, to over 15000 students in three cities, the Indira Group is today recognized all over the country particularly, as a pioneer in Management Education. It has already spread its wings beyond Pune –to Indore, and Navi Mumbai. While education continues to be the mainstay of her involvement with the community, she has made service to the neglected sections of community an article of faith, through the multi pronged assistance that Indira Group has embarked upon to service organizations that are working for the welfare of the underprivileged. This includes assistance to students, physically handicapped and orphaned children, senior citizens etc. Also she has an abiding interest in the spiritual development of the students of Indira for which she has been consistently arranging talks and discourses by experts in Yoga and Indian spirituality. 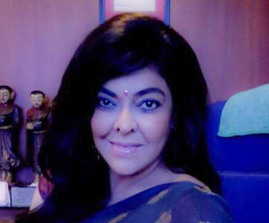 In the year 2011, Ms Tarita Shankar was awarded the Honorary Doctorate Degree in Management by the Chitkara University, Chandigarh, in recognition of her pathbreaking work in the field of education and for her contribution to society at large; and for influencing the lives and destinies of several individuals and being a guiding light to many lives. On 6th December 2017, Dr Tarita Shankar was conferred upon the Education Entrepreneur Award at the World Leadership Congress Awards held at Mauritius. On 23rd November 2017, Dr Tarita Shankar was conferred upon the Award for 'Top 50 Women In Education Leadership' and the Social Education & Entrepreneur Award at the India Sustainability Leadership Awards, World Education Congress Mumbai. On 17th February 2017, she was conferred upon with the Women Super Achiever Award and Certificate Of Fellowship by Times Ascent at the World HRD Congress, Mumbai. In July 2015 she received Outstanding Education Entrepreneur & Life Time Achievement Award at World Education Congress, Global Awards Ceremony, in June 2013 she received Hall of Fame Award at World Education Congress Global Awards ceremony, she was also presented a citation of 50 Outstanding Educational Entrepreneurs of India. In February 2013 she received Change Leader & Innovator Award at ET-Now, National Education Leadership Awards ceremony at Mumbai. She has received Thought Leaders Award (Education) at the World HRD Congress scheduled in 30th June 2012 at Mumbai. She has received Excellence in Education Award at the International Women's Achievers Award ceremony, on 6th Feb 2012 at Hotel Le-Meridien, Pune. She received "Exemplary Leader Award" at Bloomberg UTV B-School Excellence Awards ceremony held at Mumbai on 18th Feb 2012. She received "Achievers & Leaders Award (Academics)" on 1st Feb 2012 at the India Leadership Summit held at Kolkata. At Africa – India partnership Summit 2011 she received "Spirit of Entrepreneur & Educational Excellence Award" held at Mauritius in December 2011. She was awarded as Legendary Contributor to Education by 19th Dewang Mehta Business School Awards, held on 26th November 2011, at Hotel Taj Lands End, Mumbai. 'Award for Excellence in Management Education' at Asian Leadership Award ceremony at Dubai in September 2011, 'Inspirational Leader Award' by Star News at the National B-School Award ceremony on 12th Feb., 2011 at Taj Lands End, Mumbai. 'Outstanding Contribution to Education' at the World HRD Congress on 10th Feb., 2011 at Taj Lands End Mumbai. 'Institution Building' award at the 1st Achievers & Leaders Award ceremony held at Colombo, Srilanka on 5th December 2010. "TALENT EXCELLENCE IN EDUCATION AND TRAINING AWARD" at the global talent management award ceremony 2010 held at London, the event was organised by Osney media in association with HOUR Leadership alliance. Education Baroness Award at 18th Dewang Mehta Business School Award ceremony scheduled on 24th Nov., 2010 at Taj Lands End Mumbai. She was also awarded 'Hall of Fame' award and 'India's Greatest Brand Builder' award at Asia's Best B-School Awards Ceremony at Suntec Singapore Held on 23rd July 2010,. 'B-School Super Achiever Award' at DNA Stars of the Industry Award Ceremony, February, 2010, 'Edupreneur of the Year Award' at the Dewang Mehta Business School Awards, November 2009, 'Pride of the Profession Award' by Stars of the Industry Group and Fun & Joy at Work, 'Visionary Leader Award' by DNA & Stars of the Industry Group at Innovative B-School Awards, 'Samaj Bhushan Puraskar' by Akhil Bharat Brahman Mahasabha, 'Hall of Fame Award' at the 16th Dewang Mehta Business School Awards, Mumbai, 'Best B School Visionary Award' by Deccan Herald and many more. She is listed amongst the greatest brand builders of India and was also conferred upon with the Pride Of Maharashtra Award For Corporate Excellence by CMO Asia. An excellent orator, renowned for her free, frank and fearless expression of her views. Has published a compilation of Great Quotes by Great Women & also authored a book 'Leadership Whispers', on leadership and its attributes which has been released in February, 2009. Loves to travel, having visited all major countries in the world. Philanthropy and concern for the less fortunate occupies her leisure time. Presently, she's pursuing the 'Owner/President Management' (OPM) , a 3 session program for Entrepreneurs at the prestigious Harvard Business School in the USA. Above all, a doting mother, affectionate family woman, and a fun loving, down to earth personality.